Free Air Conditioning And Furnace Estimates and Quotes! Perfect Air is a full service Heating and Air Conditioning company providing budget friendly furnace, heating and air conditioning installation. A free air conditioning or heating estimate is the first step in this process. If you have broken equipment and want an estimate to repair, than you will want to visit our repair section. On this page prices are given on what is included in most heating or air conditioning installations. Free estimates are for installation of new equipment to current home owners. We proudly serve Anaheim, Long Beach, Carson, Garden Grove, Santa Ana, Norwalk, Santa Fe Springs and all cities in the Orange, Riverside and Los Angeles Counties. So you are looking for a contractor to install or upgrade your furnace, heating or air conditioning? Good, we are glad you found us! We gladly give free estimates and quotes to help you make this important decision. With our no nonsense pricing you recieve outstanding value for every dollar spent with us. You will also recieve the best installation possible as well as top of the line equipment. By giving you the equipment at our low prices, and charging a fair amount for our labor, we are able to offer prices that are thousands of dollars lower than most companies. Nothing is cut rate. Please choose us for all of your Heating and Air-Conditioning needs. We will come to your house free of charge and give you an in-home analysis of your current system. (As part of a free estimate or quote to replace or install AC or Heating equipment.) We professionally install only name brand, quality equipment. You can rest assured your new investment will be operating properly for many years to come. A typical heating and air conditioning installation includes an attic light and platform, 115v and 230v electrical line. A new gas line as well as a supply register in every room, including bathrooms. We will also remove your floor or wall furnace and rough patch the opening, at no extra charge!! All labor, material and equipment are included in these prices. 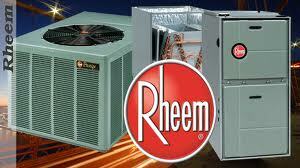 A usual price for a system using Ruud or Rheem equipment is 7,200.00. This is for a 3 ton A/C – 60k B.T.U. 80% furnace and everything mentioned above. THIS IS A COMPLETE JOB!! Contact us for a free estimate or to schedule a repair. We offer 24 Hour-Same Day Service 7 days a week. We have 15+ years of HVAC experience, are licensed and bonded and union trained. Don’t take a chance by calling the BIG GUYS!